HUMAN, WHAT IS THIS PILE OF WHAT LOOKS LIKE BABY POOP ON MY PLATE WITH THIS MEAT? THE JUICE FROM IT HAS RUN OVER INTO THE MEAT! 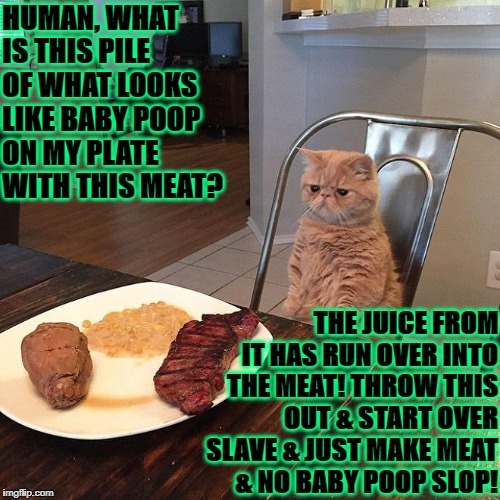 THROW THIS OUT & START OVER SLAVE & JUST MAKE MEAT & NO BABY POOP SLOP!